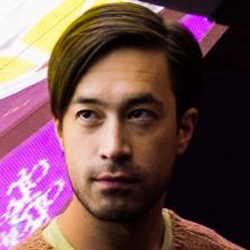 Keiichi is based in London at Leap Motion’s design research studio, where he leads a team of world-class creatives and engineers, who are working to redesign the way humans interact and coexist with the digital world. Through these explorations, the team plan to design robust, believable and honest visions of a world elevated by technology, with human input at its core. Keiichi is a celebrated designer and filmmaker, whose research explores how emerging technology will impact our future lives. His multi-disciplinary approach fuses video, interaction design, and architecture to create vibrant ‘hyper-real’ environments, where the distinctions between physical and virtual start to dissolve. Matsuda’s award-winning work includes the provocative short films ‘HYPER-REALITY’, ‘Augmented (hyper) Reality: Domestic Robocop’, and the upcoming short film ‘Merger’. He has exhibited internationally, from London’s V&A Museum to the Art Institute of Chicago and the New York MoMA.